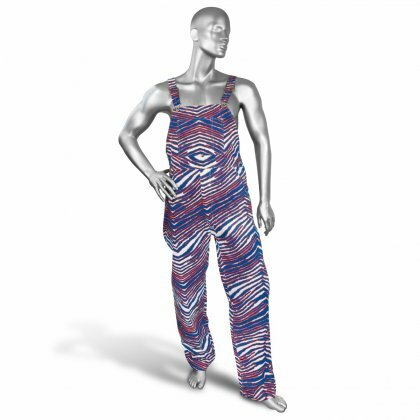 You're sure to get noticed in this Zubaz zebra printed bib overall. Made of 100% woven cotton with adjustable shoulder straps, roomy legs and many pockets, this bib is a great addition to your Zubaz collection. NOTE: Bibs are made of woven fabric, not knit, and will not stretch the way traditional Zubaz pants do. These bibs are not baggy and more of a slim fit.